I hope Darren won&apos;t tell my secret. “Did you enjoyed your night? "Darren asked.“I super did," I replied.“Mark this night the night to remember," Chris said.“I will," I replied. “Do you want to do something else?" Darren asked. “Being with you two is enough," I said.“You are so sweet,"Chris and Darren said.“Can you stop saying compliments? I am turning pink." I said. “Are you in love? "Chris asked. What should I say? “Yes," I replied.“To who? 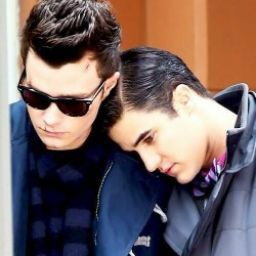 "Chris asked.“Never mind," I replied.“Chris you&apos;re going through her secret,"Darren said.“Sorry,"Chris apologized. “Don&apos;t apologize. I&apos;m fine," I said.“Do you think this night was awesome?" Darren asked.“It was more than I expected," I replied. “I will always be beyond your expectations," Darren said.“What do you mean?" I asked. “You will be surprised whenever you&apos;re with us,"Chris said.“Thank you guys," I said.“We are so lucky that we met you," Chris and Darren said. I just smiled. “Darren and I are still available tomorrow," Chris said. “So....," I said.“We are planning to show you New York tomorrow,"Darren said.“A tour?" I asked.“Yes,"Chris replied. I was crying again. Darren comforted me.“Why are you crying again?" Darren asked.“I can&apos;t believe that dreams do come true," I said. “It does,"Chris said.“Invite your cousin. I haven&apos;t met her yet,"Darren said.“I will," I promised.“Did you ever liked a boy before him? "Darren asked. “Yes but he&apos;s on the past. 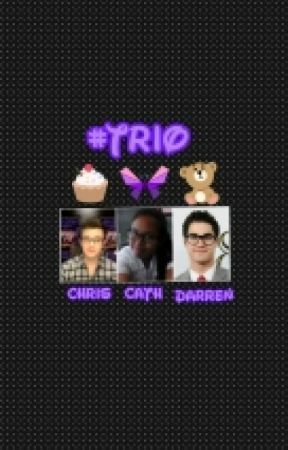 I will say he was really terrible," I replied.“Sorry,"Darren said sincerely.“Darren just change the topic again," Chris requested. “Thanks Chris. By the way are we going around New York?" I said.“Yes and because it&apos;s your first time, we will make it special," Darren replied. “I think one day wouldn&apos;t be enough," I said.“Who says one day wouldn&apos;t be enough?" Chris asked.“Me," I replied.“What he mean is there&apos;s nothing impossible when you&apos;re with us,"Darren explained. “Really?" I asked.“You don&apos;t believe. Huh? "Chris said. Then they both tickled me. “Stop it! Fine. A whole day is enough," I laughed.“We got you,"Chris and Darren said. “What if I didn&apos;t met you both today?" I asked.“I guess my day wouldn&apos;t be a wonderful day without you,"Chris replied.“What a beautiful answer," I said.“For me, I&apos;ll still be doubting you with Chris and I wouldn&apos;t realize that you&apos;re different from everybody," Darren replied. “The realization answer," I said.“How about you? Answer your own question," Darren said.“I guess me and my cousin will make crazy stuff," I replied. “What kind of crazy stuff? "Chris asked.“Like dancing and singing in a different way," I laughed.“I&apos;m excited to see that side,"Darren said. “You will think that I should be with the mentally challenged people," I said.“No it&apos;s not that,"Chris complained. “You&apos;re a beautiful girl with a beautiful dream," Darren complimented. “Don&apos;t call me beautiful," I said.“Why? "Chris asked.“I am not beautiful," I replied. “We see it but you don&apos;t," Darren said.“It&apos;s because you haven&apos;t seen what your beautiful heart is,"Chris added. “I just hate to compare myself to others," I said.“You should only compare yourself with the old you,"Chris explained.“You have a point," I said. “You don&apos;t seem the positive girl,"Darren said.“It&apos;s because of my high school life. It was like a survival training," I said.“Sorry about that," Chris said. “I miss my friends in elementary especially in 6th grade," I said.“That was a long time ago,"Darren said.“They are like my second family," I said.“You must have special memories in there," Chris said. “Yes it is," I said.“How about your special someone a.k.a your crush? "Chris asked.“Can I just describe him?" I demanded.“Fine,"Chris said.“He&apos;s just like you period," I said confidently. “Really?! "Chris said shockingly. Darren is looking weirdly at me right now.“Yes," I said.“I think we&apos;re almost close to the apartment," I said.“How sad,"Darren said. “Don&apos;t worry we&apos;ll tomorrow," I said. Then we finally reached the apartment.“So I guess this is goodbye," Chris said.“For tonight," I added. Then Chris kissed me in the left cheek and Darren kissed me in the right cheek. Then I blushed.“Bye," I said. Then I entered the apartment. “How&apos;s the date? "KC asked.“It was absolutely the night to remember," I replied. Then I went to my room and I jumped to my bed and sleep. Part 4 over. I wish this prediction of mine will happen after six years. I hope you enjoyed it. Love, Catherine Napalan (Ms_Little_Hummel).